There are two things which Donald Trump must do if he is to gain any degree of credibility–give up watching Fox and Tweeting every idiotic thing which comes into his head. (Okay, he probably needs to do even more than that, but it would be a start). It looks like Trump made a false charge against Comey based upon a misleading story he saw on Fox. Philip Bump explained in greater detail, but the gist is that Comey gave a memo of a meeting with Trump to a friend. Comey also wrote memos on his meetings which contained classified information. Fox, and then Trump, then claimed that Comey broke the law by giving his friend a memo with classified information. However, the memo which Comey gave to the friend was not one of the memos which contained classified information. 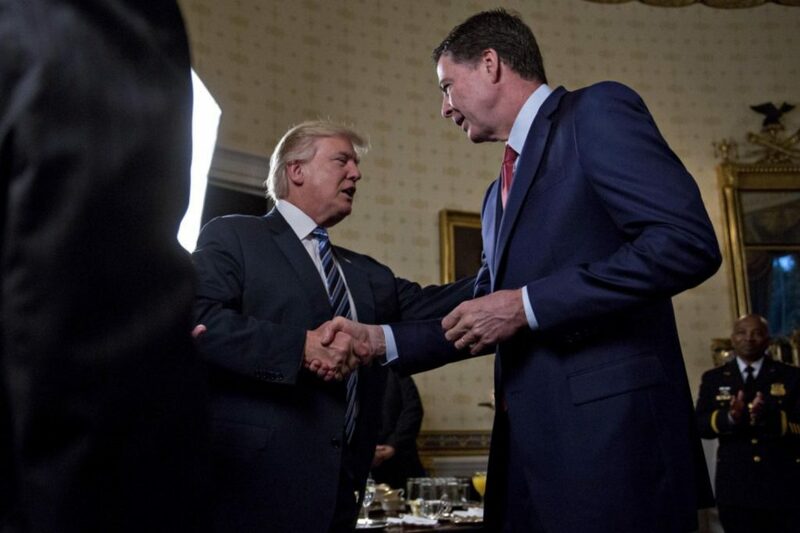 Comey had written a total of seven memos after nine meetings with Trump. Four of the seven memos are marked as secret or classified. This did not include the memo which Comey gave to the friend. Trump needs to learn that the claims made on Fox are often fictitious pieces of propaganda, and not things he should repeat or base his claims on. He certainly should not attempt to govern based upon what he hears on Fox. It’s hard to tell if Trump and his administration really have an agenda. He won the presidency being “anti-everything,” but this “rage against the machine” attitude doesn’t really offer much as a guiding principle for policy making. This lackluster approach combined with the drama surrounding the Russia investigation, the President’s attacks on the media and his empty threats about North Korea give the impression of chaos and disorder, and subsequently, of inaction. This can be seen clearly by the repeated failure of the new health care bill. Trump’s only promise was to repeal “Obamacare,” putting himself in line with this “anti-everything” approach, but because he and his advisers have no real plan for an alternative, the bills being drawn up in Congress are downright awful, leading them to stall and generating doubt about whether something will ever get done. However, this illusion of inactivity does not tell the whole story. Things are getting done, albeit slowly, but more concerning, they are getting done with very little public attention. Without drifting too far into conspiracy theories, we have to wonder if this wasn’t the plan all along. We’re seeing a clear case of Noam Chomsky’s “anti-politics.” The happenings of Washington are so repulsive to the ordinary citizen that many are turning their backs on Washington, paving the way for corporate power to advance quietly in the background. Here is something the current government has done, the consequences of which should be concerning for those interested in preserving democracy. Remember the 2008 financial crisis? Of course. Who could forget it? Well, after decades of deregulating Wall Street, the world paid a heavy price, and the response by the Obama administration was to push through new regulations to make sure nothing like that could ever happen again. The Wall Street Reform and Consumer Protection Act, more commonly referred to as Dodd-Frank, was born from this idea. It includes countless new regulations for banks to prevent them from making overly risky loans that could lead to instability. If you haven’t seen it already, the film The Big Short gives an entertaining, although disturbing, version of the events leading up to the crash, and if there is one big takeaway, it’s that the lack of oversight on the banks was a huge driver of what turned out to be the largest financial crisis since the Great Depression. The film is available on Netflix, which you can access even if you’re restricted by location. 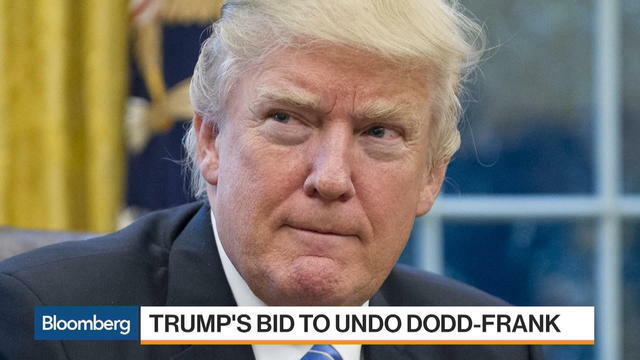 However, the Dodd-Frank bill is not perfect. It includes over 20,000 pages of regulations, and it makes some pretty black and white distinctions among banks. Specifically, it outlines rules for banks based on the value of assets, not the level of risk. This has led many smaller community banks to speak out against the bill, saying it prevents them from being able to expand their business because they have to dedicate so many resources to regulation-related paperwork. Others say this is what the bill was supposed to do—limit risky loans—but others say it goes too far. Regardless, it is clear Dodd-Frank could use some reform. And so Trump and his Republican House reformed it by passing the Financial CHOICE Act. In general, the bill is modest. It reduces some of the red tape banks need to cut through to grant loans, making it easier for them to provide capital to interested borrowers. But the concerning part of the bill is the reduction of the Consumer Financial Protection Bureau (CFPB). This agency was created from Dodd-Frank and serves as a way for consumers to file complaints about banking fraud, to get information on the practices of other banks and to correct errors in reporting (specifically credit reporting). In the new bill, the CFPB will be prohibited from banning “abusive” products, and it will have an entirely new leadership structure (a bipartisan committee of five people). Given the current state of Washington politics, the word “bipartisan” could easily be replaced with “do-nothing.” It’s hard to imagine the agency having any real direction without clear leadership from the top. While Republicans are claiming the Financial CHOICE Act is a way to reduce unnecessary government regulation to help community banks, it’s hard to see how reducing the reach of the CFPB does that. One of the main reasons the 2008 crisis happened was that banks were able to operate largely in secret. They were using seriously questionable tactics, but no one was looking over their shoulder until it was too late. Had an agency like the CFPB existed during this time period, perhaps the damage would not have been so bad. Reforming the CFPB and the Dodd-Frank bill shows a willingness in Washington to slowly drift back to the days where darkness clouded the banking industry, allowing it to do as it wishes while ordinary citizens bicker over daily controversies. The bill still needs to pass the Senate, but all signs point to a similar approach, and since Republicans have the majority, there might not be much hope of stopping it. It is not a big leap to say we are in this political predicament because of the 2008 crisis. The consequences of decades of growing inequality and stagnant wage growth were unleashed with the banking collapse. Millions saw their futures disappear in a matter of minutes, and the anger arising from this has polarized even more what was already a divided country. But the answer to this is not more bank deregulation. However, with so many distractions going on in Washington, it is easy to see why this issue has not received much attention, but the potential consequences of this critical first step by Wall Street to return to the glory days of deregulation should be more than enough cause for concern. Much like a magician, Trump is using this “anti-everything” strategy to keep people focused elsewhere so that corporate America can continue its infiltration into politics and its seemingly endless expansion of power. What do you think of the Financial CHOICE Act? Is it needed reform or a way to return power to the already mighty banks? Let us know by leaving a comment in the section below. About the Author: Sandra is an alternative news blogger who focuses largely on politics. She is concerned the circus that Washington has become distracts us too much from the important issues. As such, she frequently writes about things such as bank regulation, internet privacy and security, and corporate power, as she considers these to be fundamental issues that few are talking about.